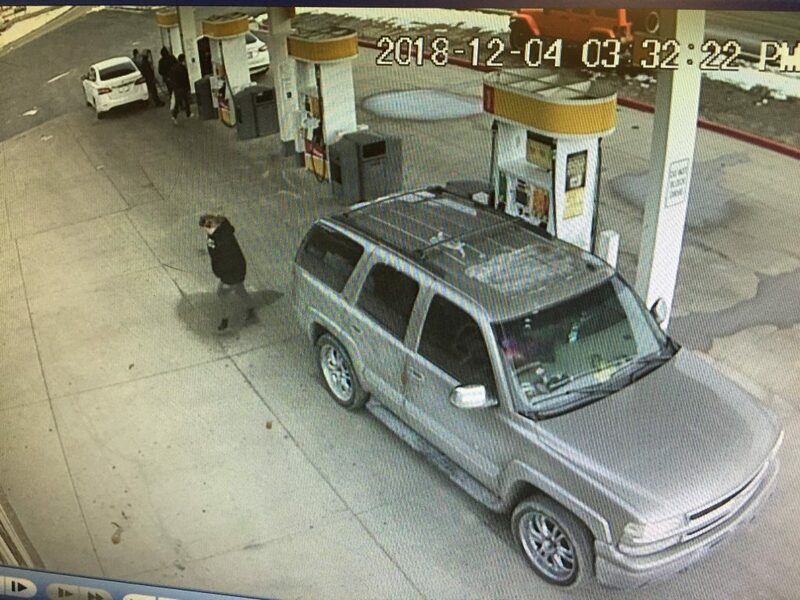 ST. GEORGE — The Kane County Sheriff’s Office is asking for the public’s help regarding two individuals who investigators believe are involved in an ongoing fraud in the county. The Sheriff’s Office posted the appeal to the public for information Tuesday on Facebook, along with security camera photos. 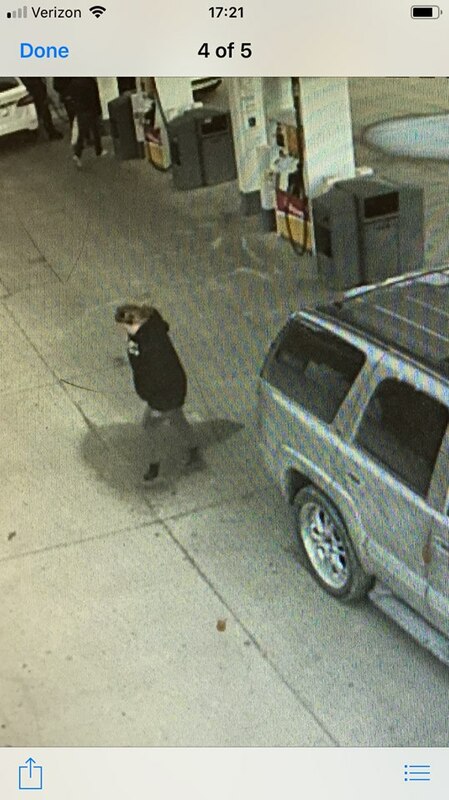 The photos show a Hispanic male and white female stopped at a gas station with a silver SUV. 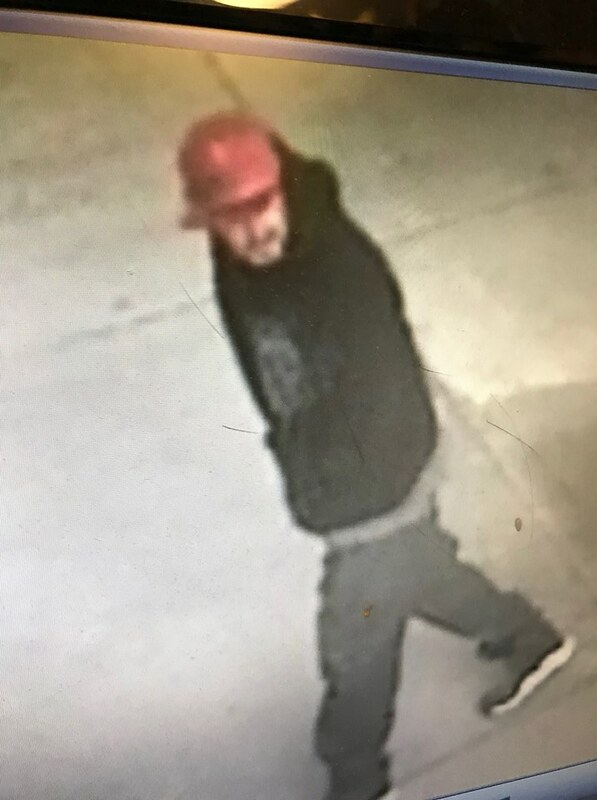 The man is seen wearing a red baseball cap, black hoodie and black pants. The hoodie may also have a face on the front based on the posted camera shots. 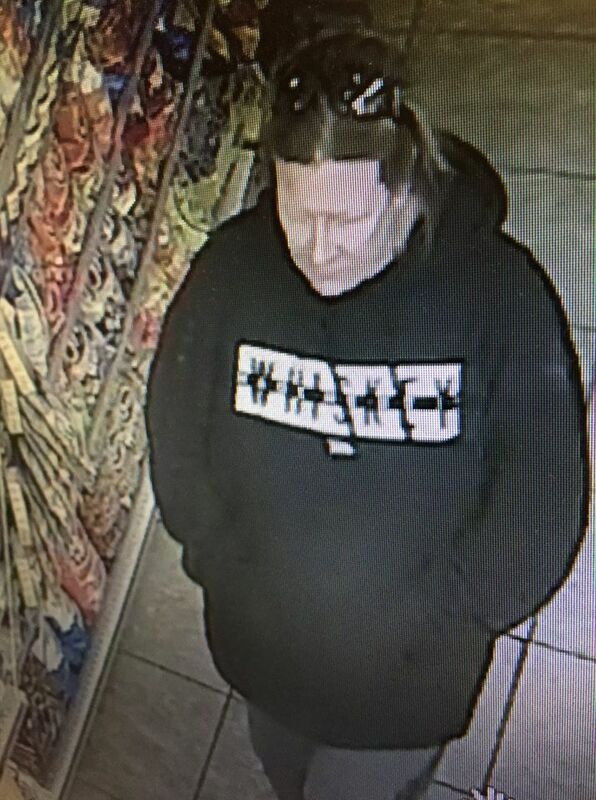 The woman is described as having brown hair and wearing gray pants along with a black hoodie with the word “Whiskey” on the front. The silver SUV has a cross sticker on the back window in the top left corner. There was also a dog in the car, according to the Sheriff’s Office. 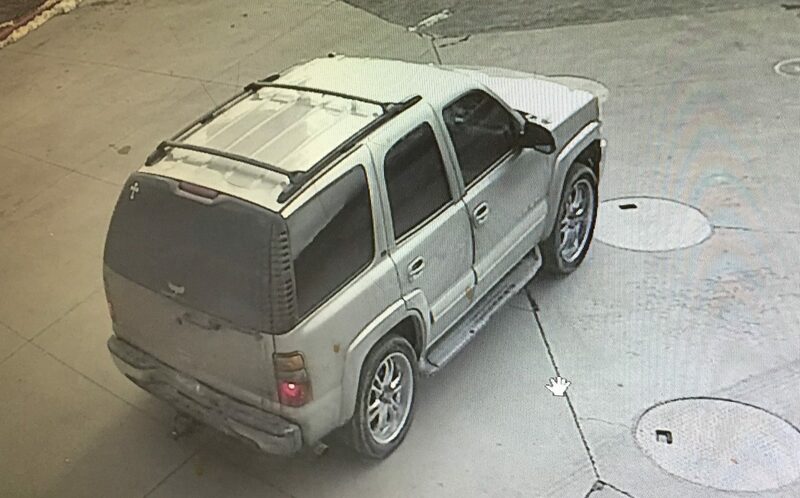 The license plates are unknown, as they have been taken off when the couple has been witnessed at a business. Anyone with information concerning the suspects is asked to call the Kane County Sheriff’s Office at 435-644-2349. The real fraud here is that the linebacker in the Whiskey shirt is claiming to be a woman. Too funny. I was thinking the same thing. But seriously, WHAT WAS THE F4AUD. Great reporting ehen you dont give what, where, when, how of the story. Thanks for your comment. Unfortunately, this is all the information we were provided. Trust me, it’s frustrating for reporters as well when they are only given limited information with which to work, but when it comes to law enforcement actions, there is often good reason that they won’t release certain information to the public that might negatively impact their investigations – even if it would make a better story. I could make some guesses as to what that fraud would be based on this report (as I’m guessing could you) but that’s all they would be at this point: guesses. And hopefully this report will help get these two caught. And THEN we’ll have more of the story to present. Thanks again for your comments and for being an active part of St. George News. It’s kind of funny, often we’ll see an arrest for various felonies, and the charges often don’t seem to make sense even then. What is a “Device to manufacture fake documents” Is that a copy machine, or a pencil? Welcome to the 21st century. Simple 15 second Google search for “device to make fake documents utah statute” gave me a link to the legislature page that tells me “(1)	As used in this section, “device” means any equipment, mechanism, material, or program. So I guess it could be both and more……. Laws do not spell out each single thing like listing the actual devices, but usually cover a broad spectrum of things. We are If you are not part of the solution, you must be part of the problem…….